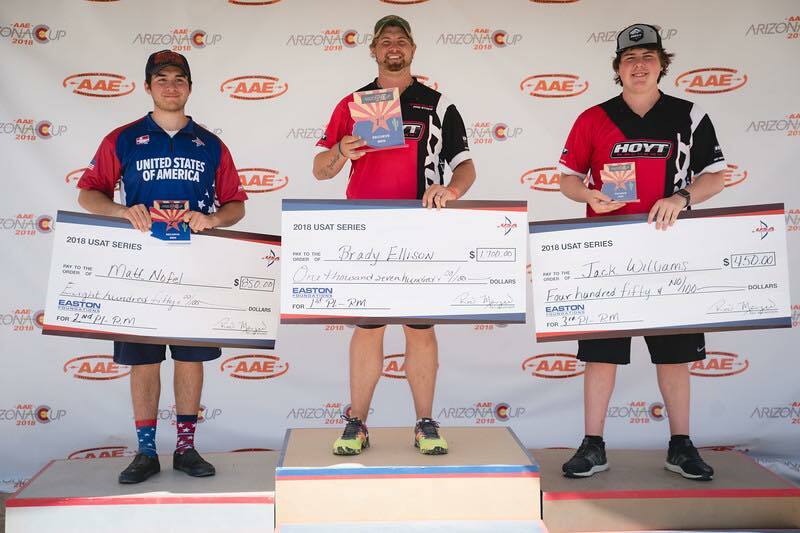 Team Easton shooters continue to sweep medals at major outdoor events on the 2018 competition circuit, with 10 of 12 podium slots at the Arizona Cup archery event in the premiere compound and recurve senior categories. The winning streak started at the Asia Cup in Bangkok last month, and now the Arizona Cup, the second major world event of the season in Phoenix, Arizona saw Team E sweep the top steps on the podium for both men’s and women’s recurve, as well as all the Men’s compound medals and two of three women’s compound medals. “Mr Perfect” Mike Schloesser (NED) took men’s compound gold, with Reo Wilde (USA) and Jesse Clayton (USA) taking second and third places, respectively. Toja Ellison (SLO) and Linda Ochoa-Anderson (MEX) also podiumed in the women’s compound competition. All of these star shooters used Easton’s X10 Pro Tour compound shafts. 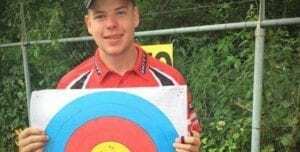 Recurve Easton shooters made a similar sweep, with gold going to USA Olympic stars Brady Ellison for the men, and Mackenzie Brown for the women. Matt Nofel and Jack Williams of the USA took second and third, while Khatuna Lorig (USA) took silver in the women’s competition. All these recurve podium winners shot Easton’s legendary X10, the arrows that have been used to win every archery medal in the past 6 Olympic Games. Next on the World calendar is the first World Cup event of the season, in Shanghai China, next week.